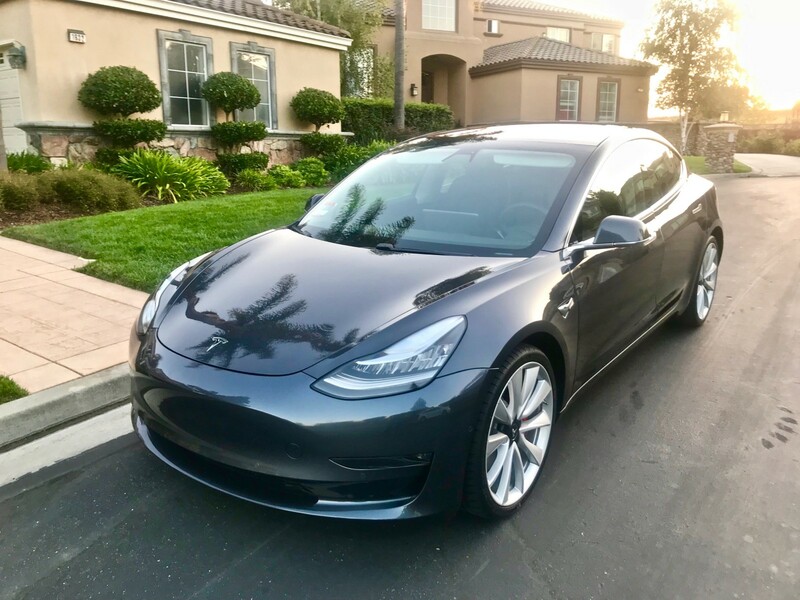 While more and more Tesla Model 3s are being delivered everyday, there are many message boards and Facebook groups full of people waiting for their car, or considering adding themselves to the waiting list. As someone who has been lucky (and persistent) enough to get one of these, I thought I’d share my early experiences. I’ve now had the car for exactly one month and have racked up just over 1,000 miles. That seems like enough time and experience to give an initial report. I hope you are having a great day and I’m excited to make it a lot better. Congratulations! Your Model 3 is on its way to your delivery location. Looks to be arriving around August 25th. Well, that was pretty exciting! Not only that, but my advisor offered to have it delivered to my home! After a quick phone call, we agreed to a delivery date of August 28th — with a 2:30 to 4:30pm window. I took that afternoon off work and waited at the house. They never showed up. They didn’t call. They didn’t email. They simply didn’t arrive. I tried to contact my Delivery Advisor, but didn’t get a response until the next day. She was surprised it hadn’t arrived. She did some looking on her computer, decided my car might be in Arizona (I live in California), and she said she’d get back to me. I never did find out what happened, but she rescheduled for me to pick up at the Fremont Delivery Center, near the factory, two days later. When I arrived for my appointment at the delivery center they had never heard of me! To make a long story short, it took two-and-a-half hours of wrangling for them to find and prep the car! Luckily, I had my car’s Vehicle Identification Number (VIN 72xxx before someone asks) with me from paperwork I’d been sent and they were able to look it up in the Salesforce.com computer system. Everyone on the message boards had me prepared to look for flaws on the car: assembly defects, paint issues, etc, etc. I found none, the car looked perfect. Now, I’m not a statistically valid sample, but my car looked to have rolled off the factory assembly line perfectly. I got a 15 minute set of instructions on how to operate the car — there are a few things that take getting used to. I did note that the car was only half charged, but that was plenty to get me home. I was off! You’ve probably seem them around already, but I can’t help but share some pictures. It’s pretty sharp if you ask me! 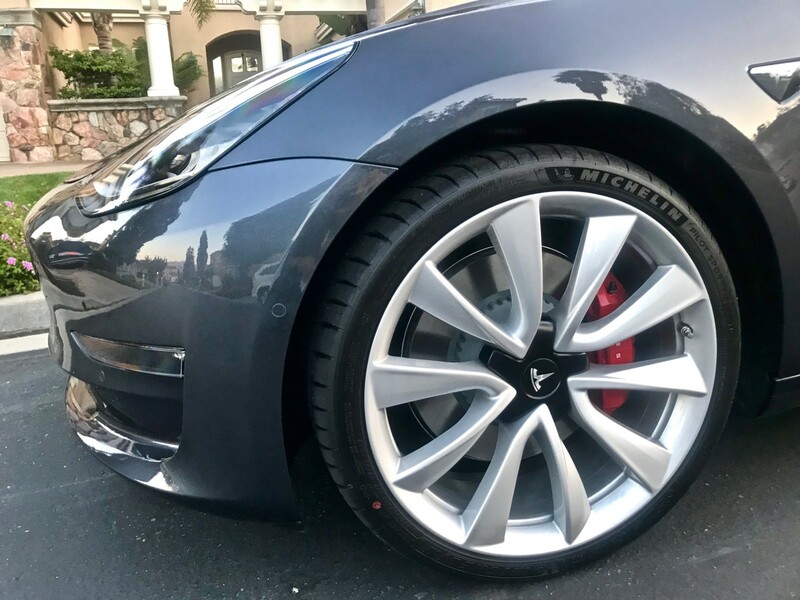 Here are those upgraded Wheels and Brakes — Sharp! If you ask me, it looks a little like a Porsche from the front and an Aston-Martin from the rear. Speaking of the rear, I have gotten a lot of questions about the trunk. 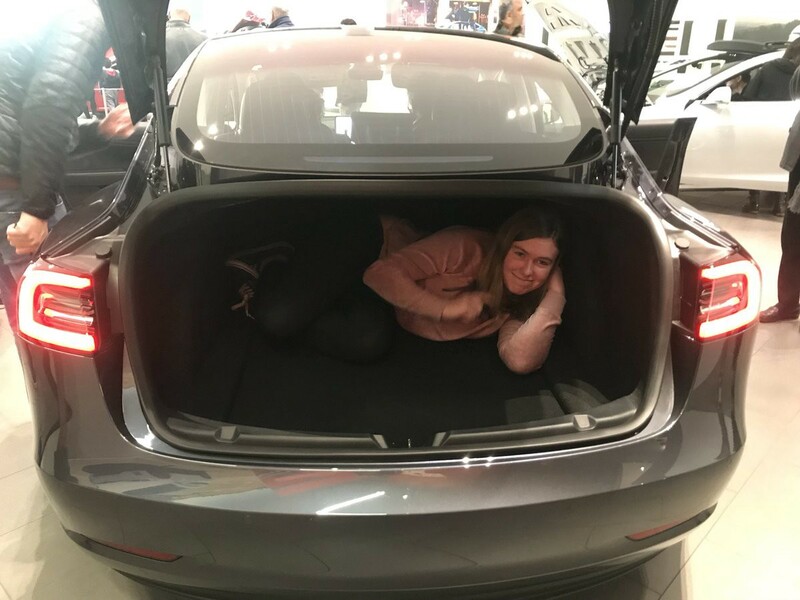 In the showroom, I’d previously asked my 16-year-old daughter to help with a quick test. As you can see, it’s pretty spacious!. When I was driving my Chevy Volt, it had a much smaller battery. It also had a back-up gas engine, so it didn’t really matter if the battery ran out. In fact, the battery was so small that I never installed a dedicated car charger. The Volt included a travel charger which I had plugged into a regular 110v outlet in the garage. That was enough to charge the car to it’s full 40 mile range overnight. However, if you’re getting a Tesla you should plan differently! The Tesla also includes a nice travel charger. It has adaptors for a standard 110v socket and a 220v dryer-style socket. My dryer socket wasn’t easily accessible, so I just plugged it into the 110v socket near my car in the garage. The good news: it works! The bad news: I estimated that charging the car to full capacity would take about three days! Yikes! Time to call the electrician. The electrician ran a dedicated 50-amp circuit from the panel to near my car where I put in the standard Tesla Wall Connector. This is about 10 times faster than the single 110v socket and I can now fully charge the car overnight. As of yesterday, I had 1,117 miles on the car. I had used 320 kilowatt hours (kWh) of electricity. Thus, the overall efficiency has been 286 watt hours / mile. Note that many of my miles are from a 20 mile (each way) commute to work on a densely packed freeway. However, outside of stop-and-go traffic I am a pretty spirited driver. I am not hypermiling! So, what’s at this kilowatt stuff mean to you if you’re not an electrician? Well, kWh is the standard unit of measure that your utility company probably uses to charge you for electricity. If you look at your utility bill you can find out how many kWh you used last month and how much you’re paying for each kWh. I’m not going to try and estimate your cost because it’s widely variable. I’d say most people are paying between $0.05 and $0.40 per kWh. Note that which plan you select can impact these costs, and your utility company may have a special plan/rate for electric car households. Also, some workplaces will allow you to charge your car at work now. I’m really lucky that my employer has a set of free chargers, so I can charge for free for most of my commute miles. This drops my average cost per kWh dramatically. Oh, and if you have Solar, you’re in a whole different category! As one more data point around efficiency, my wife and I took our first, day-long road trip in the Tesla this weekend. We drove from San Jose to Carmel, CA on the Monterey coast. The trip was mostly freeway driving — ranging from wide open runs at 80 MPH to stop-and-go traffic in sections. Roundtrip, with some in-town driving, we put 156 miles on the car and used 45 kWh of power. So, the efficiency came to 288 wh/m. So, in essence, it was nearly identical to my overall efficiency for the first 1,000 miles. So, if you were to assume a $0.20 cost per kWh the electricity for that trip would have run you about $9. Not bad! Yeah, this thing is part car and part computer! My Volt had a pair of LCD displays that replaced the analog gauges and controls on the car, but this is wholly different. There are no gauges the the only buttons are on the steering wheel. The large LCD screen is completely touch sensitive. It’s like a giant iPad. 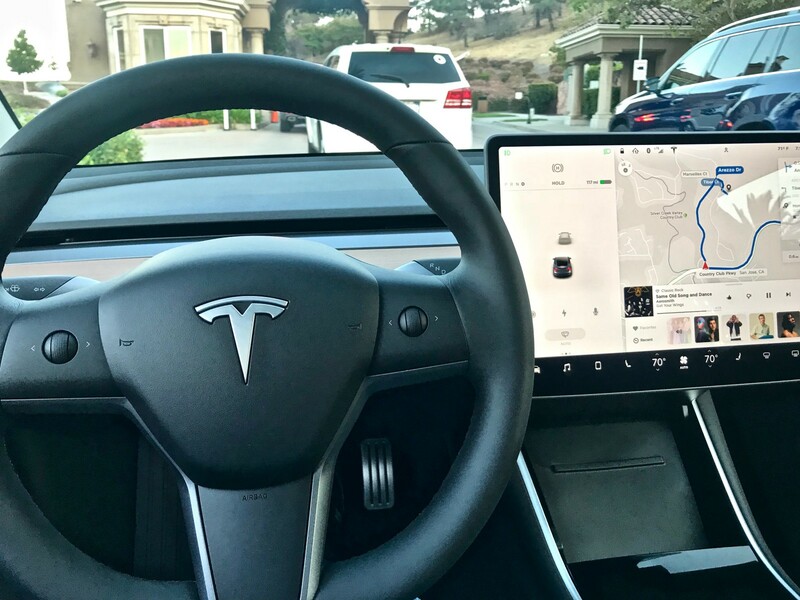 It includes built in apps that control things like the glove box, the charging door, music and navigation, as well as the driving profile of the car. Figuring out all these controls would seem daunting until you realize you can do most of them with voice control! Push the right-thumb steering wheel button and talk. Say, “Take me to McDonalds” and the navigation will map it for you. Say, “Play Van Halen” and the car will play a song by 80s rock legends Van Halen and then build a Pandora-style station of similar artists for you to listen to. No, I didn’t crash the car! Yes, the on board computer did freak out once. I got in and attempted to shift into Drive. It wouldn’t do it — no matter how hard I tried. I eventually found I could reboot the car by holding down both steering wheel buttons for 10 second. For good measure, I rebooted my iPhone — your phone actually acts as the car key. BTW, having your phone be the key is awesome, but takes getting used to! After a reboot it all worked fine. That being said, it’s clear we’re dealing with new technology. For people who don’t love playing with computers and phones, I suspect this whole car would simply be frustrating at this stage. There’s a level of polish that still needs to come. OK, most of what I’ve written in this article would be true of any Model 3. The Performance option is what makes this one different. 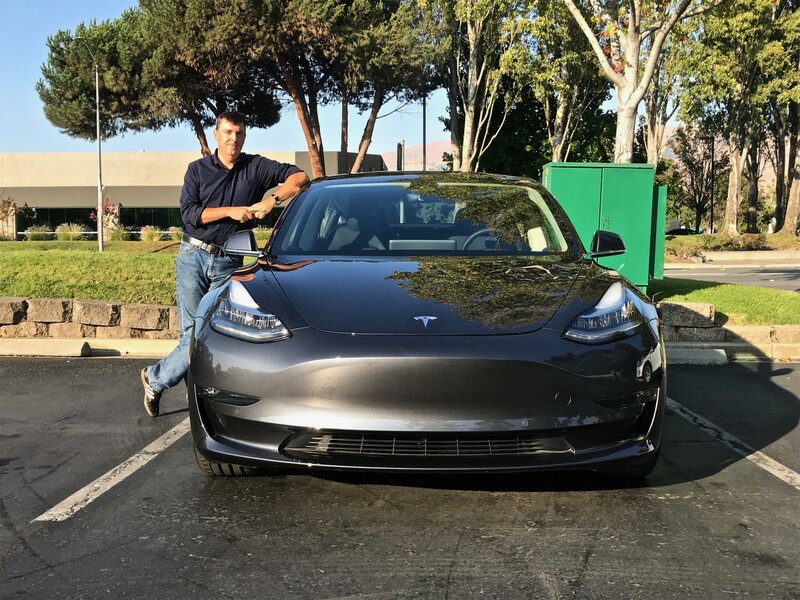 A base Model 3 is supposed to do zero-to-sixty in about 5 seconds. That’s quick. It’s as quick as my 2010 Lotus Elise weekend driver that I’ve been known to track occasionally. The AWD Model 3 looks to do 0–60 in about 4.5 seconds. That’s substantially quicker. However, the Performance Model 3 is advertised at 3.5 seconds and I’ve seen people claim they’ve done it as quickly as 3.2 seconds. Well, this is Supercar fast. Zero-to-sixty in 3.5 is the same rating as a Ferrari F430 Scuderia. But, if you don’t already own a Ferrari, what’s 0–60 in 3.5 seconds feel like? 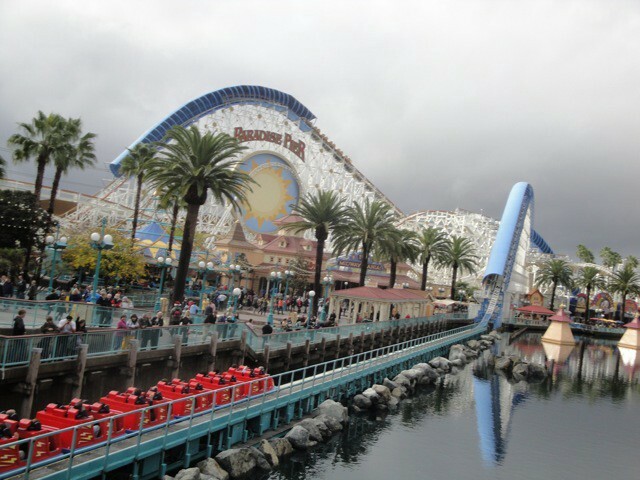 Have you been to the California Adventure Park at Disneyland? They have a super-exciting ride there called California Screamin’. It’s starts with a large stretch of flat track and uses giant electro-magnates to launch the cars from 0–55 in about 4 seconds. So, if you know that rush, this is even more powerful than that! The first time I really tried this I was shocked. I stopped at a stop light, made sure there was no one in front of me, and I hit the gas when the light turned green. The only adjective I have is frightening. The car is frighteningly fast. Its fast enough that my 16-year-old daughter is now afraid to drive it! It will literally throw your head back against the headrest and take the breath from your chest if you’re not ready for it. From a practical perspective, this means you never need to worry about getting ahead of that car in the slow lane when you’re merging on the freeway. You can get ahead of them — every time! From a less practical perspective, and punk in a souped up Mustang or Camaro who wants to race you at a stoplight will loose! This is a two-ton car. It weighs double what my cute, little Lotus does. The Lotus has no power steering while the Tesla is totally fly-by-wire. My Volt meanwhile was very comfy, but had ZERO road feel. Easy to drive? Sure. But you got no feedback. I was worried the Tesla would feel more like the Volt than the Lotus. It turns out that it can be both! The Tesla has three driving modes: Comfort, Normal and Sport. In Sport mode, it feels like a sports car. Very short movements are translated into quick action by the tires. And there is great road feel and steering feedback. I don’t know what else to say other than it feels like a proper sports car. Also, while the car is heavier than many sports cars, the weight is primarily in the batteries and the battery back is in the floor. That means the car has a really low center of gravity. Pair that with the upgraded tires from the Performance package and you get a car that feels amazing when cornering. You feel stuck to the ground. Note, even in Sports mode, it does have loads of traction control and other driver safety features — no burn outs and no drifting. There is a Track Mode coming that sounds like it’s designed to back those down for a true, old-fashion sports car experience. I’m looking forward to trying that out at the track. This car, after a very long wait and some delivery hiccups, has dramatically exceeded my expectations. It’s comfortable, high-tech, dead silent, but frighteningly fast with a true sports car feel. I don’t think there has ever been a car like this before and it’s a ton of fun. Two words: game changer! Silicon Valley technology and products. VP at Citrix. Previous: Oracle and Sun Microsystems. Cloud, IoT, AI, Blockchain. Guitar and Martial Arts. Dad.